Since 7th grade Home-Ec Class. It was quite scary, but I managed to make a few cute things given I had very few of the sewing essentials handy. For example I had NO PINS so I used random needles to hold the fabric together. Just an OLD pair of horrific scissors that barely cut toilet paper. 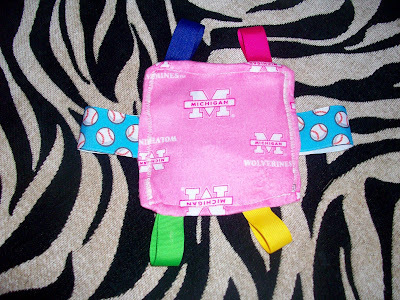 A fun crooked CRINKLE taggie toy MICHIGAN STYLE for Gracie. 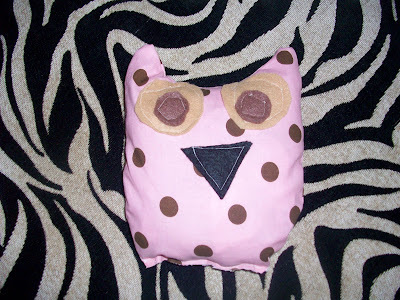 I also made a crinkle OWL for Gracie. Thanks to Julie at Joyshope I headed to JoAnns, with her email (pics included! How awesome is she? )and coupons in hand, and bought a few of what she thought were the must haves. 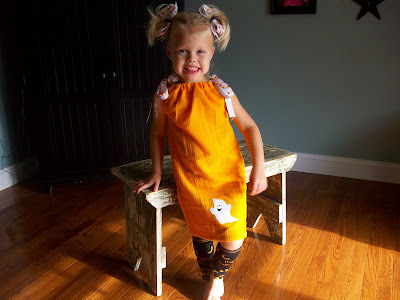 I was then able to make my first article of clothing, a DRESS for Sophie! It turned out really cute and Sophie was very impressed. She wanted to wear it all day! This FUN dress is actually made out of two DISH TOWELS! I followed an easy tutorial after seeing it on Angie's FUN blog! Then made some bows to match and even added a few to my SHOP. 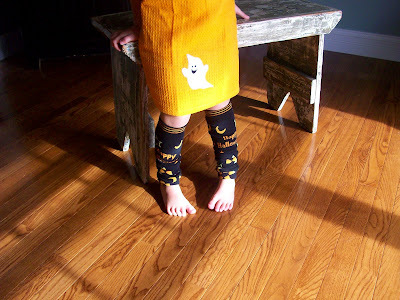 Of course I had to make all of my girls Halloween leg warmers. Because I am so 80's. Gracie was not real impressed. She wanted to play with the BALL instead. 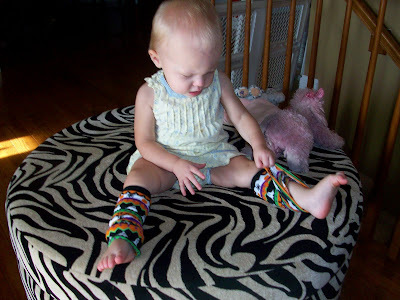 She tried to rip them off a few times. So NOT 80's of her. 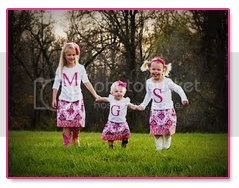 Now I have to get the time to finish Mia and Gracie's dresses. A white ghost for Gracie and Purple Cat for Mia. Have a Spooktacular Weekend Everyone! You are like mom with no scissors in the house. ha ha ha!!! Such cute projects. 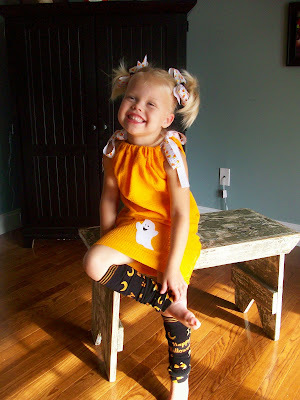 You could add an order of Halloween leg warmers to Ella's bow order if you would like! Those are STELLAR!! She needs some cute fall gear coming up! Miss you! Oh my gosh...you've got the fever now....go with it!! Love all of your adorable creations!! 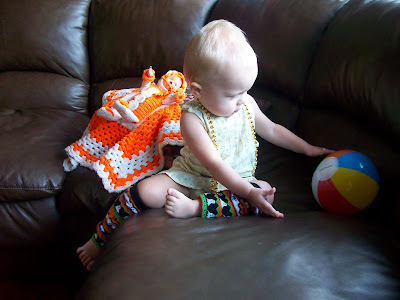 The leg warmers are just to die for!! The dresses...dish cloths...really....amazing...and so freakin cute!